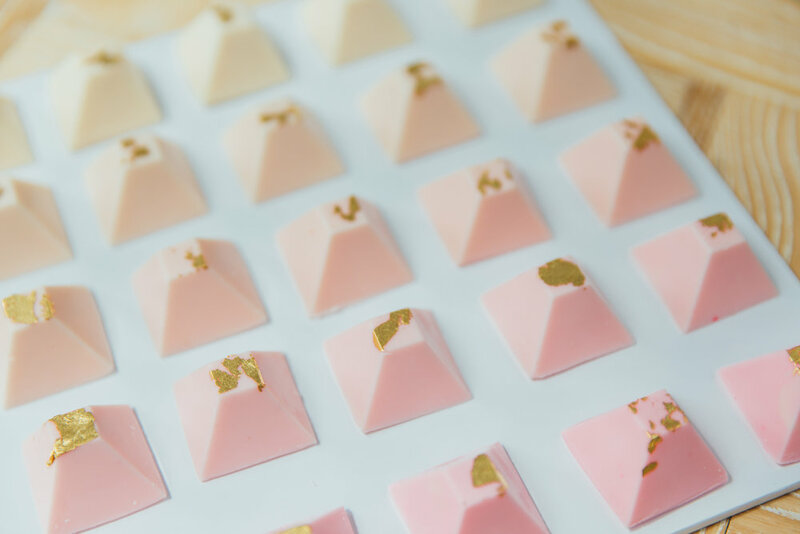 Our chocolate pyramids are so versatile and suit many occasions. Either to display on a white board or as favours for your wedding, baptism, birthday or any other special occasion. The perfect addition to brighten your table and add a modern touch with that stunning ombre look of your choice of colours. They can also be used as a special gift to give guests at your special occasion. A great way to say thank you which can be eaten or become a keepsake forever. Our pyramids make a chic addition to our party boards. They always impress guests with their touch of gold sparkle. Send through an enquiry through contact located at the top of the screen!